At 3.10 pm every weekday, parents gather at Featherstone Primary to collect their children. 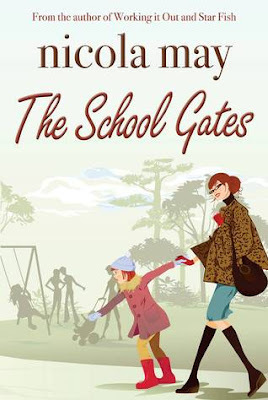 For a special few, the friendships forged at the school gates will see them through lives filled with drama, secrets and sorrows. When Yummy Mummy Alana reveals the identity of her love-child’s father, she doesn’t expect the consequences to be quite so extreme. Ex Czech au pair Earth Mummy Dana finds happiness in her secret side-line, but really all she longs for is another child. Slummy Mummy Brenda’s wife-beating husband leads her down a path she never thought possible, and Super Mummy Joan has to cope when life deals her a devastating blow. And what of Gay Daddy Gordon? Will he be able to juggle parenthood and cope with his broken heart at the same time? I was really looking forward to this book, not just because I am a teacher who stands welcoming parents at the school gate every morning! This author hooks the reader into the story straight away, introducing each of the families featured in the book, as if each family is a character in itself, I really enjoyed the opening and felt immersed in what was going on in the story right from the word go. It was fabulous as well because each of the families was a completely different unit, realistically representing each of the families that meet at school gates all over the country every morning, Nicola May did really well to portray this so realistically! The setting of the school was also completely realistic, based on a real school that made me quite jealous, it sounded so lovely. I'm not normally a massive fan of novels that aren't set in big cities, but I found this setting really easy to picture as the community as a whole was described really well. Once I had been hooked in by the initial character introductions, the novel carried on being a total page turner! The characters' stories were relatable but there were so many twists and turns I found myself gasping out loud! I laughed at parts, especially some of the school commits parts that I could totally recognise, but I shed a few tears too. Parts of every day life are dealt with that might make the reader uncomfortable, but they do happen every day to people like this and so I completely understand them being included in the book! This was a fabulous,y easy read that has a bit of everything in, a bit like a really meaty soap opera with a bit of extra feeling behind it. I would love to find out what happens next to some of the characters as they move on, perhaps the teacher featured in the book could have a story of his own to tell? Whether you experience The School Gates on a daily basis or not, I think you will find something to enjoy within the pages of this book! This sounds very sweet, and I'm not familiar with this author, but I'll be sure to check her out! I found your blog via Beck Valley Books, and I'm a new GFC follower, hope you're having a wonderful week. It's a lovely read and the sequal is apparently in progress!